EES is pleased to announce that seven faculty members from a range of academic units across campus joined EES as affiliated faculty in the 2017-2018 academic year. They are Damian Brady, Assistant Professor of Marine Sciences, School of Marine Sciences; Adam Daigneault, Assistant Professor of Forest, Conservation, and Recreation Policy, School of Forest Resources; Bridie McGreavy, Assistant Professor of Environmental Communication, Department of Communication and Journalism; Laura Rickard, Assistant Professor of Risk Communication, Department of Communication and Journalism; Ek Han Tan, Assistant Professor of Plant Genetics, School of Biology and Ecology; Christine Beitl, Assistant Professor of Anthropology, Department of Anthropology; and Carly Sponarski, Assistant Professor, Department of Wildlife, Fisheries, and Conservation Biology. 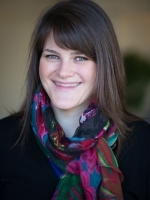 According to Dr. Sponarski, she “joined EES as affiliated faculty because of the flexibility the program provides its students to build their own curriculum. In a world that requires young professionals to be able to adapt and be interdisciplinary, this program allows students to expand their knowledge and experience base, work with students across disciplines and gain exposure to different forms of knowledge.” Currently there are over 80 faculty participating from over 16 units on campus and over 60 graduate students enrolled. Over the last five years, one fifth of the PhD students from NSFA graduated with an EES degree. 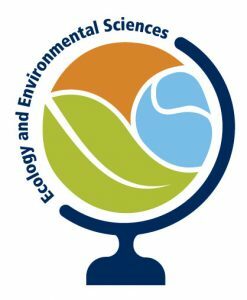 Being an EES faculty member allows faculty to advise graduate students in our MS and PhD programs, teach graduate and undergraduate courses, recruit EES honors students to their labs, and allows their graduate students to apply for EES fellowships and awards. UMaine faculty that are interested in joining EES should contact us at ees@maine.edu or 207-581-3176.